Thassos has many wonderful attractions. Visitors can still see the 7th-century ruins of Ancient Thassos in the capital, Limenas, and the 12th-century Archangelou Michail Monastery in the island's southeast region. 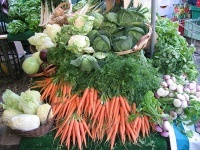 Thassos also has a number of interesting museums and archaeological sites, plus an excellent street market. Outside of Limenas, the island's small villages feel authentic and undisturbed. Many have their own markets and quaint folk museums. 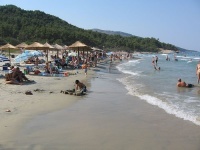 Nature lovers will enjoy Thassos' beaches, lakes and waterfalls. Scala Potamia and Golden Beach are both loved for the calm waters that make them child-friendly. Visitors who enjoy wandering along picturesque trails can try horse riding, which is a popular activity on the island.